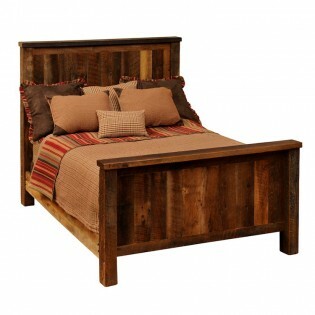 Enjoy a western ranch look with our Wrangler Barnwood Beds. Rugged reclaimed red oak planks from 19th century tobacco barns is handcrafted into this bed that features full-length hardwood rails and a dull catalyzed lacquer finish. Made in the USA.